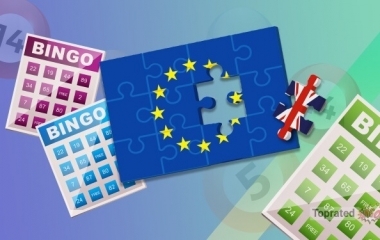 UK Bingo Operators After Brexit | What Will Happen Now? The result of the Brexit referendum came as a huge shock to a lot of people. All of the straw polls and the betting shops had predicted the same outcome – that we were staying in the European Union. Instead though, the vote was a win for the leave brigade. The margin was, it has to be said, fairly narrow, but in spite of all the hand-wringing and lamenting, there is now no turning back. There is definitely no chance of a second referendum. The deed has been done, and the UK is leaving the EU. Two years on, the dust has settled, and now the practicalities of the decision need to be sorted out. One of the main talking points has been how trade across Europe will be affected. Britain has, after all, been a member of the European Union since 1973, and has shared business interests in many different countries. 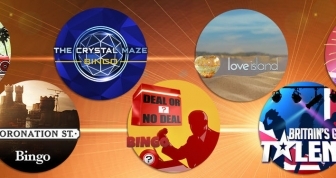 As one of the key industries is gambling, bingo operators are watching the negotiations closely, and some have already put a few contingency measures in place. On the face of it, it seems that little will need to change. In 2014, the UK implemented its own gambling act, which effectively means that this particular industry is already operating outside of the EU. Any operator that wishes to operate inside the UK has to hold a licence, even if the servers are based elsewhere. The strict regulation might seem heavy-handed, but it has served the UK Gambling Commission well. They have the reputation of being stringent in terms of ensuring fair play, and consequently, their licences are sought after. There isn’t really any reason that this will be different after Brexit. Is the Gibraltar Situation that Precarious? There is, however, the thorny issue of Gibraltar to be sorted out. Casino and sportsbook operators have been drawn to this region over the years by the low taxation rates. The Rock is currently home to 30 international companies, including many of the bingo operators, who are big players in the industry. This is beneficial for Gibraltar as well. 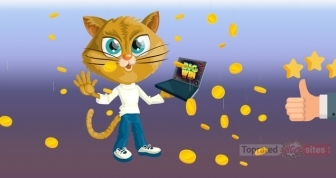 Gambling provides around 25% of its GDP and 40% of its tax revenue. It also relies on the UK market for 90% of its business. Gibraltar holds the status of a British Overseas territory, and this has been the case since 1713, when the Spanish formally ceded it to the crown. In Britain’s eyes, Gibraltar will remain a part of the UK for as long as it wants to do so. However, this stance is controversial. Spain believes Gibraltarians to be simply ‘settlers’, and over the years, it has made claim on the region. In 2002, the suggestion was put forward that Britain and Spain share sovereignty of the Rock. However, the ensuing referendum soon put paid to that notion. Gibraltarians consider themselves to be British, and 98.48% of them voted to stay with the UK. Somewhat ironically, Gibraltarians also consider themselves to be European. In the UK referendum about EU membership, an incredible 95.91% voted to remain in the Union. This was far higher than any of the results from the other nations. In Scotland, it was 62%, and in Northern Ireland, it was 55.8%. Only 47.5% voted to remain in Wales, and this dropped to 46.6% in England. Unfortunately, despite its wishes, Gibraltar cannot remain in the European Union on its own. Although the Rock is largely self-governing, it only has EU membership through its tie with the UK. After Brexit, some of the current legislation will have to change. The main issue will be to do with the border between Spain and the Rock. More than 60% of Gibraltar’s workforce live in Spain, and at the moment, crossing between the two territories doesn’t present much of a challenge. Whether this remains the case in the future depends on how difficult the Spanish authorities choose to be. The UK government has guaranteed that nothing will be changed before 2020, and that the current framework of shared regulation and enforcement will continue after this date. The aim is to modernise and extend the current provision, with the possibility of Gibraltar becoming a conduit for business in the UK. Regardless of these reassurances, many of the gambling operators have begun to factor Brexit into their business forecasts. Understandably, no one really knows what will happen in the future, and none of the companies want to be caught napping. Many have already begun to look at moving their operations to Malta. Many of the leading bingo providers, such as Gala, Coral, and Betfred are currently licensed in Gibraltar. The key concern for these companies, and for the casino operators that are based there, is to do with the freedom of services. During the negotiations, the focus must be, therefore, on ensuring that there is full access to all the principles that are presently enjoyed under EU legislation. Once these types of details have been firmed up by the UK government, it’s possible that the anxieties will dissipate and that the current status quo will just continue. Only time will tell. 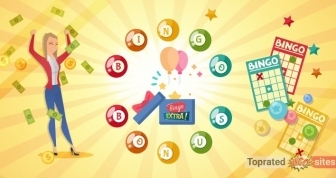 How Bingo Attracts Gladiators, Cowboys and Queens!